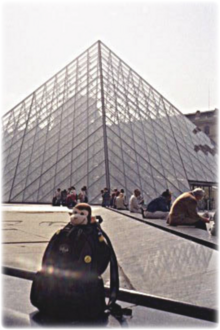 Additional Info: France is the home of the International System of Units (the metric system), as well as being known for its wine, beaches, and home to one of the most well known monuments in Europe, the Eiffel Tower. A fantastic way to enjoy France and its amazing food, unique and gorgeous wines, history, architecture and lifestyle is to tour the country by bike. Many companies run guided group tours; while others can help you plan your own cycle adventures. 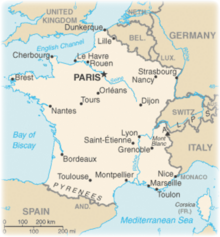 Some popular regions of France are reviewed below. 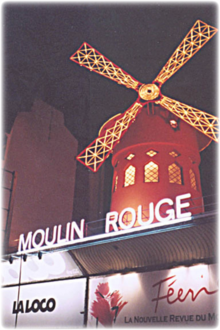 » Burgandy - Try a week-long wine and gastronomy tour of this eastern region, starting in Dijon. Dijon is the historical capital of the province of Burgundy. Dijon boasts a surprisingly large number of churches and cathedrals, including St. Benigne, Notre-Dame, St. Etienne, and St. Michel. The crypt of Dijon Cathedral, dedicated to Saint Benignus, dates from 1,000 years ago, and the city has retained many architectural styles from many of the main periods from the past millennium, including Gothic, Renaissance and Capetian. Cycle to the wineries around Dijon as well as the Burgundy canal and Chateauneuf en Auxois, or even visit the Chocolate factory. Next head into the Cotes de Nuit wine country and pass some of the most famous names in Burgundy wine such as Clos Vougeot and Gevrey Chambertin. Do the circular ride from Nuits St Georges to the Plaine de Saone/Saint Jean de Losne and the abbey church of Citeaux. Cycle next to the lower vineyard area of Cotes de Nuits and into Beaune, the wine capital of the region. Leave plenty of time to explore Beaune and its many sites including the famous Hotel Dieu, and its many wine caves. » Normandy is situated along the coasts of the south of the English Channel between Brittany (to the west) and Picardy (to the east). During the Second World War, the D-Day landings on the Normandy beaches under the code name Operation Overlord were a massive invasion of German-occupied France by Allied troops. Now, a wide range of dairy products are produced and exported here. Norman cheeses include Camembert, Livarot, Pont l'Eveque, Brillat-Savarin, Neufchatel, Petit Suisse and Boursin. Normandy butter and Normandy cream are lavishly used in gastronomic specialties. Fish and seafood are of superior quality in Normandy. Turbot and oysters from the Cotentin Peninsula are major delicacies throughout France. Normandy is the chief oyster-cultivating, scallop-exporting, and mussel-raising region in France. Try a five-day cycle focusing on the WW2 landings while taking the time to enjoy the local food and culture. Start a tour in Bayeux (the first town to be liberated) and then cycle through the countryside of Bessin to Omaha Beach. White crosses of the American Military Cemetery evoke strong memories of D-Day. Next get peddling to Arromanches, Gold Beach, and Juno Beach. Here you can see the vestiges of Mulberry, the artificial floating harbor conceived by Winston Churchill as a means to deliver supplies to the landing troops. End your cycle tour of this region in Caen, the capital of Lower Normandy, a sizable city with much to see and do. Maybe an early start to visit the markets selling the delicacies of the region: cider, calvados, cheeses, butter and "teurgole", a rice pudding with cinnamon. The Chateau, built by William the Conqueror, offers a panoramic view of the city. Course fishing in France ultimately leads you to some of the best carp fishing destinations you can find in the world. Although, France presents a wonderful selection of fishing throughout the entire country; catering for course and game on a wide range of rivers and lakes. And with 6,200 miles of coast line it has plenty for the sea angler too. After the cap, look out for the massive catfish that take all day to land and some fantastic trout fishing deep in the alpine range. » Carp Fishing - France has many waterways and lakes and is great place to go for a fishing vacation. There are more manmade lakes than natural, created to provide irrigation and drinking water or power. Others have formed from old sand and gravel pits which were excavated to provide sand for the network of motorways. Almost all French lakes hold carp. Brittany has some of the best fishing rivers and lakes in France, as well as something like a third of France's coastline, giving a great variety for keen anglers. Note you will need a fishing permit, expect to pay about 10E for a day license and 30E for a 2-week permit. » Sea Fishing - Sea fishing off the Atlantic coast is excellent and you do not need a license. Catch bass, conger and skate around the La Rochelle area. Further down the coast in the Landes department of Aquitaine you can go boat fishing for Tuna or surf cast for sea bream or bass. » Fly Fishing - Public salmon/trout fishing is available in canals and navigable rivers. You will need a salmon stamp in addition to your fishing license. You may also need to pay the owners for a permit to fish. Information can usually be found at the local tourist office. The Trout season usually starts at the beginning of May and runs through to October. Some of the best salmon fishing in France can be found in the Pyrenees Atlantiques on the Gave d'Oloron River, east of Biarritz. Tributary rivers including the Gave d'Aspe and Gave de Pau are also good for salmon.. Salmon also run up the rivers Gaves d'Ossau and de Nive. The season is from June until August because of the melting snow in earlier months. In the Brittany region, the Elle River is very popular. The "Loge Coucou" is one of the more famous stretches of the Elle River (between the towns of La Logue Coucou and Le Quinquis just north of Lorient. It's mostly private and the season runs from 15 June to 14 July. The Loire River and its tributaries is a major salmon fishery for France - over 500 miles in length. France has a huge number of hiking paths, known locally as "randonnee", taking you through any kind of landscape you might want. There are also many long hiking routes which are generally well posted with red and white markings, and littered with strategically placed campsites and emergency refuges. Short distance paths, marked in either red or yellow denoting a regional route or only yellow indicating a local path, are also readily available. Mont Blanc (White Mountain) or Monte Bianco also known as "La Dame Blanche" (the white lady) is a mountain in the Alps. It is the highest mountain (at 15,536ft) in the Alps and Western Europe. The Mont Blanc Massif is popular for mountaineering, hiking, and skiing. 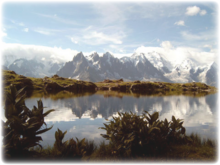 The Tour du Mont Blanc is one of the truly classic hut-to-hut hikes in Europe. This route was initially comprised of century-old trade routes, which were linked together to form what the French call a "Grande Randonnee". The circular route is normally walked in an anti-clockwise direction in 7-10 daysUsual start points are Les Houches in the Chamonix valley or Les Contamines in the Montjoie valley (in France). The route passes through seven valleys around the Mont-Blanc massif, an anti-clockwise start in Chamonix would lead through the Chamonix (or Arve) valley, then Montjoie, Vallee des Glaciers, Italian Val Veni, & Val Ferret, Swiss Val Ferret, and either the Arpette or Trient valley in Switzerland, dependent on route taken. 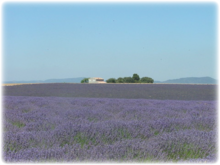 For something less intense, try a hiking trip from inn to inn in the Provence region of France. Here you can enjoy a rich and varied scenery: eucalyptus trees, cypress, deciduous and pine forests, lavender fields, rocky limestone cliffs, Roman roads, vineyards, ancient cliffside villages. One option is to start in the high Alps of Provence, and follow the Grande Randonnee 4 from Castellane through the Grand Canyon du Verdon across the Durance River and into the Regional Parc of the Luberon. 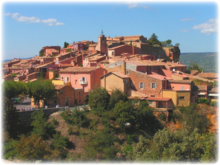 North of the Luberon, continue the hike on the GR 6 and GR 97 where you will come across charming villages perches (perched villages) and end the journey in Roussillon and Gordes.